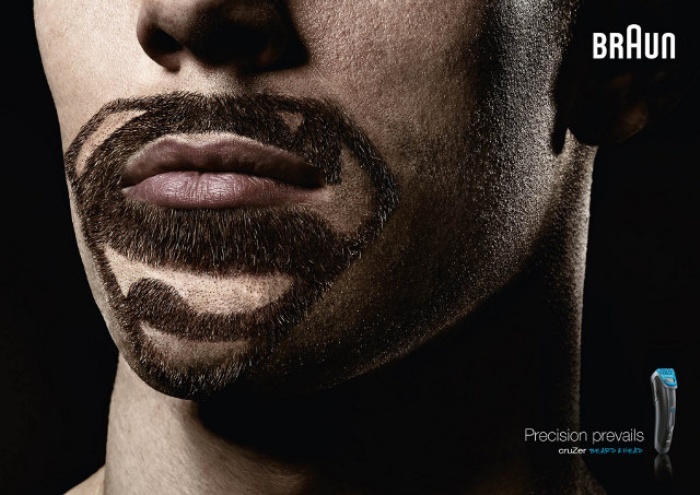 Super Beards: A Gallery of Beards Shaped Like Superhero Logos | OhGizmo! By Hazel Chua on 11/07/13 • Leave a comment! These super beards look super cool, but I doubt you can actually go out in public with a beard like this, much less go to work while sporting one. 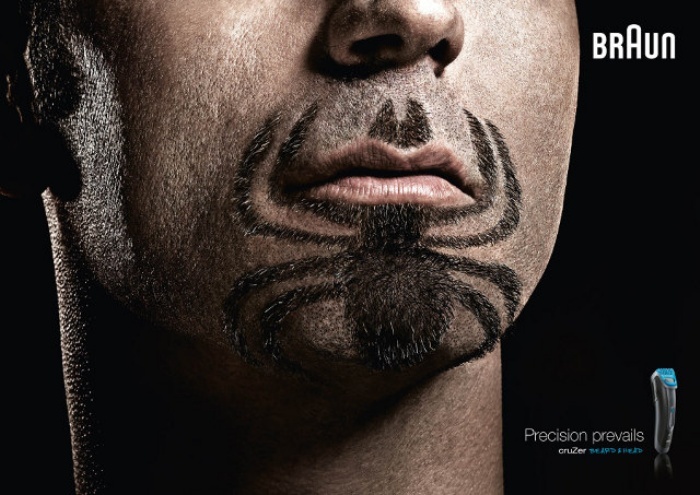 The beards are featured on a small series of ads that Braun did to advertise their CruZer beard and mustache trimmer. Of course, we’ll never know if they actually used the CruZer to trim these guys’ face fuzz or if the mustaches are indeed real or just Photoshopped. 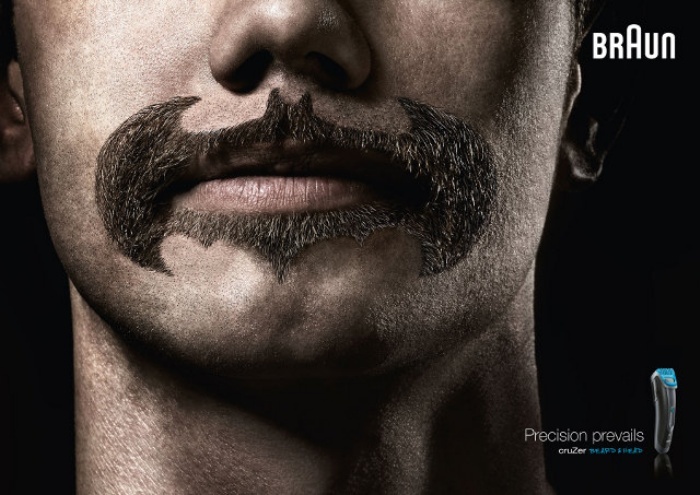 Hit the break for two more superhero logo beards.